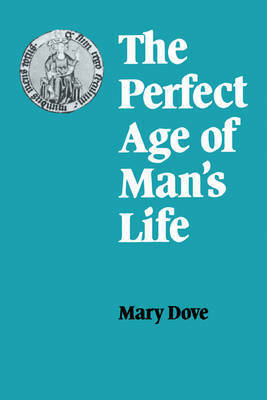 Originally published in 1986, this is an investigation of one particular aspect of what is usually called the Ages of Man. Human beings seem always to have divided up their lives into separate stages: this book argues that the medieval understanding of the age in the middle of man's life was very different from contemporary ideas. Middle age in the Middle Ages did not have dim and negative associations. Instead, it was typically perceived as a 'perfect' age, an age of fulfilment which reached its consummation in the redemption brought about by Christ in his perfect age. The implications of this for medieval understanding of the series of the ages are discussed here for the first time.